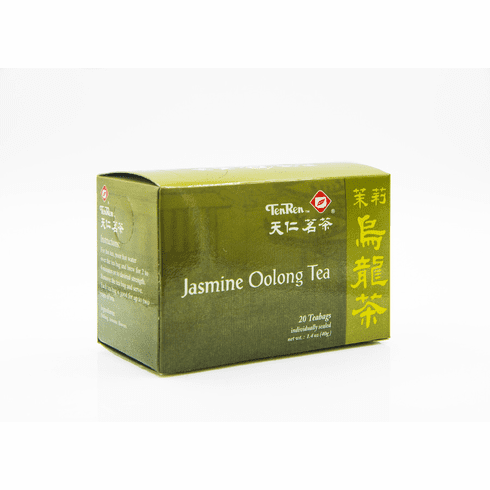 Jasmine Oolong Tea is comprised of jasmine tea mixed with oolong tea. This tea is not oolong tea scented with jasmine. When brewed, it has a brownish-yellow hue, an aroma of tropical flowers, and a rich, fresh taste. Jasmine Oolong tea combines two teas that have long been a favorite in China and the rest of Asia. Water at about 180�-190�F or 83�-87�C should be used for steeping. Available in boxes of 20 bags. Shipping weight is 0.16 lb.